It was late Spring, early in the morning and the temperature was heading towards thirty five degrees. As I rambled along my favourite bush track towards the beach, I heard that very Australian sound of cicadas beginning their synchronised song. However, it only lasted a few moments and then stopped as quickly as it had started. One word popped into my mind – Summer! I stood in the shade of the eucalypts and waited for more of their performance but they were just teasing me…giving me a tiny taste of summertime. As I walked towards the sand dunes, still hoping for more, a series of warm thoughts evoked powerful memories . 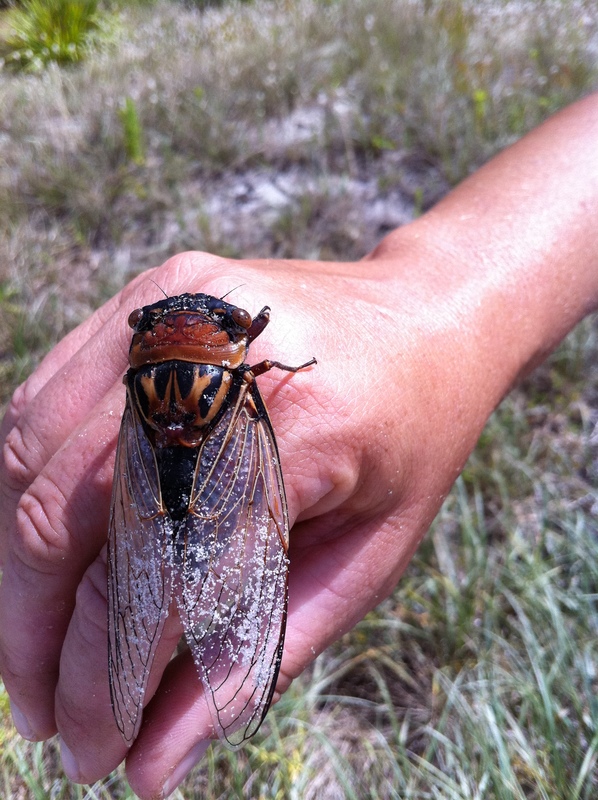 For me, cicadas have always been the sound of Summer and as a child we rummaged at the base of trees to find the holes that traced the cicada’s long underground nymphean history. From there we followed their journey to discover their vacated shells clinging to stringy bark. We scaled trees in order to catch these creatures with their bulging eyes and ‘diamond’ encrusted heads, only to hold them for a few moments, feel their vibrating voice and release them again. Summer days seemed to last an eternity, spending endless hours playing outside. Time seemed to slow. I look forward to Summer because we tend to ease the foot off the accelerator of life and wind down the year. Not only is it a necessity to slow down as the Aussie sun turns everything golden but Summertime also encourages us to relax more with friends and family, as barbeques and outdoor gatherings become a regular pastime. There is nothing like a Summer get-together whether it be at the local park, in the backyard or at the beach. We lather ourselves in sunscreen during the day and mossie repellant at night. In Summer, us Aussies like to snooze off our Christmas lunch, wait for the southerly to cool things down before we start up again with a few coldies. Summer is bare skin, slipping on your thongs and wearing your swimmers and a sarong all day long. Summer is swimming until your skin prunes. Summer is going on holidays and getting a suntan. It is salad and ice cream. Then there is the fruit the Summer sun creates: mangoes, cherries, peaches, nectarines and plums. Summer is all about getting outside, sweating, then rehydrating. And of course we can’t forget about Summer reading. Who doesn’t love lying around in Summer and catching up on all those books you have been wanting to read? 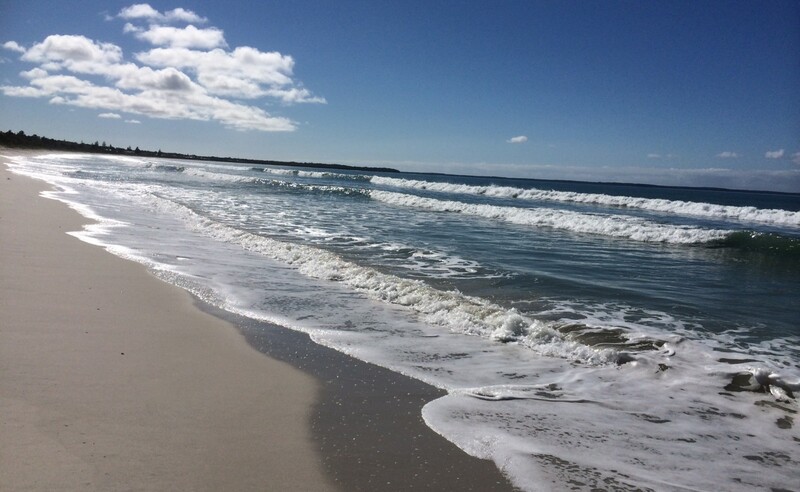 And now, living in Jervis Bay, a new set of memories are evolving. Going to the beach early when the bay is calm and the water so clear you can see your toes in the deep. Kayaking on Currambene Creek and rolling off the side to cool down. Seeing the hermit crabs emerge from their Winter hibernation and bringing the knowledge that the warm currents are here to stay for a while. Then there is the promise of the local dolphin pod surfacing to follow the length of the beach in search of prey. The sunrises and sunsets of Summer that fill you with wonder and awe. The freedom of living in a place that seems to make the sands through the hour glass trickle at a slower pace. So, I can’t wait to walk down my track and hear the beat of the cicada song because for all that Summer is, does and makes us feel it has to be good for you.